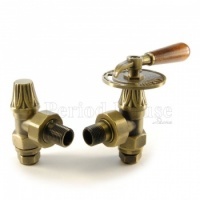 Our brass Abbey range of radiator valves are an ideal complement for traditional cast iron radiators. A great finishing touch if you have vintage décor. 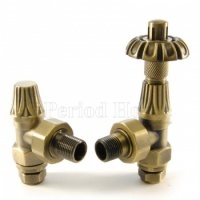 The valves are available as TRV (thermostatic radiator valves), throttle (lever control) or manual (regular tap). 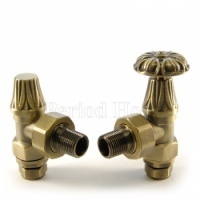 In terms of connection, they are incredible versatile as they have 4 inlet types (15mm & 22mm compression and ½" & ¾" iron pipe), 2 tail options (½" & ¾" radiator couplers and have an excellent overall flow rate for either ½" & ¾" connections. If you have an older central heating system and/or have a gravity fed system you may need the ¾" option to ensure adequate flow. 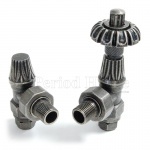 This flexibility in form and function mean that they are suitable for a range of installation types.